Paytm is one of the best online platforms to make instant digital & utility payment for electricity bills, shopping, mobile recharge, movie tickets, etc. 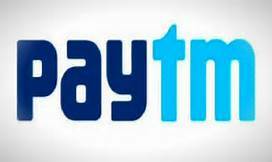 Paytm can be accessed through mobile and website. Get cashback of Rs. 50 on recharge & bill payment of Rs. 100. Apply the given coupon code to avail this deal. Offer applicable for new users. Hurry up! Stop wasting your time by standing in long queues and save your time by using Paytm. As the country is going to be digital so the payment modes should also be digital and to make your payment digital Paytm was launched. Paytm is the best way to make an online payment. If you pay your bills at Paytm, then you will get the chance to avail exciting deals and fantastic offers. Paytm is an e-commerce payment system and digital wallet company based in India. It was founded in the year 2010 by an Indian entrepreneur Vijay Shankar Sharma. With the help of this site you can book your movie tickets, events, travel and you can also pay your electricity bill, mobile recharge, utility bill, etc. Paytm is available in 10 different languages. It is the easiest, quickest and safest mode of payment. The use of Paytm is straightforward, safe and secure. For using it, following steps must be followed. At the very beginning, you need to set up a Paytm account by using your mobile number and email ID. After that, you need to add some money to your Paytm Wallet. Once you fill your wallet with cash, now you can make payments and transfer money. Now, if you want to transfer money to someone else’s account, you need to select the option of “Pay or Send.” You can also use it by scanning a QR code. With the help of this app, you can send money to another Paytm user by using their phone number. You can use it online as well as offline. With the help of Paytm, you can recharge your phone within few clicks. There is no need to be dependent on recharge retailer anymore because now you can recharge your phone yourself. At Paytm there is a long list of operators which include Airtel, BSNl, Idea, Jio, MTNL, Tata Docomo, Telenor, T24, and Vodafone. You can do a prepaid mobile recharge of any listed operator. Now there is no need to stand in long queues for paying electricity bill as Paytm makes it easy for you. Now you can pay electricity bill within few clicks and similarly you can also pay your gas bill, you can pay your gas bill on your phone. Paytm is the best mode for paying bills to avoid late fees. Now recharge your DTH online with Paytm. All major DTH operators of the country are listed on this website which includes Airtel Digital TV, Dish TV, Reliance Digital TV, Sun Direct, Tata Sky and Videocon D2H. At this site, you can recharge your DTH hassle-free. Along with this, Paytm also has a lot of uses like you can use it to pay your College fees, loan, challan, multiple payments, toll tag, water, insurance, etc. Paytm has a friendly consumer service. They are 24/7 available to assist their customers. If in case the customer has any problem with the service he/she can raise a complaint. For making a complaint either you can use the official website of Paytm, or you can use the mobile app of Paytm. Now with Paytm you can save your maximum time and spend that time with your family. Also, you can get the chance to receive cash back, amazing deals and discounts which saves your money. As it offers mobile payment solutions to more than 7 million merchants, you can purchase anything online without any hassle. Paytm achieved a lot of awards for its excellence and services. Also, it has been granted ‘in-principle’ approval by Reserve Bank Of India which makes it trustworthy. You can trust it, use it and share it. Grab the best Paytm deals at Wingcoupon.com.